This mandolino has a scale of 330mm. 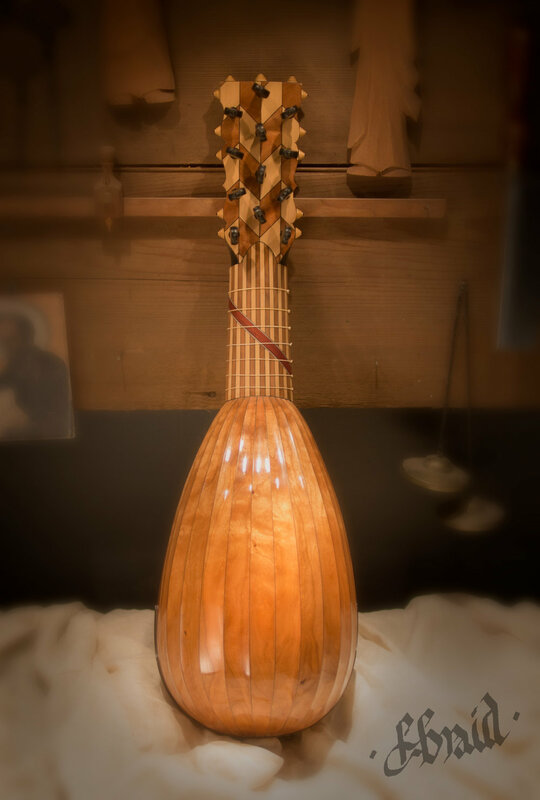 It was inspired from various instruments from the 18th and 19th century known as Genovese mandolinos. 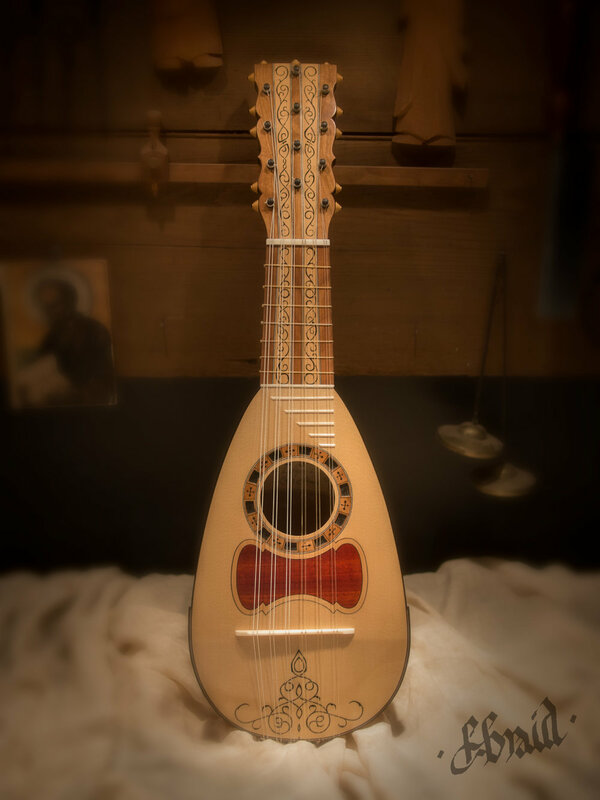 The tuning can either be standard mandolino (GBEADG), or Genovese tuning (EADGBE). Either are perfectly compatible, though a string change would be required for the higher pitched mandolino tuning. 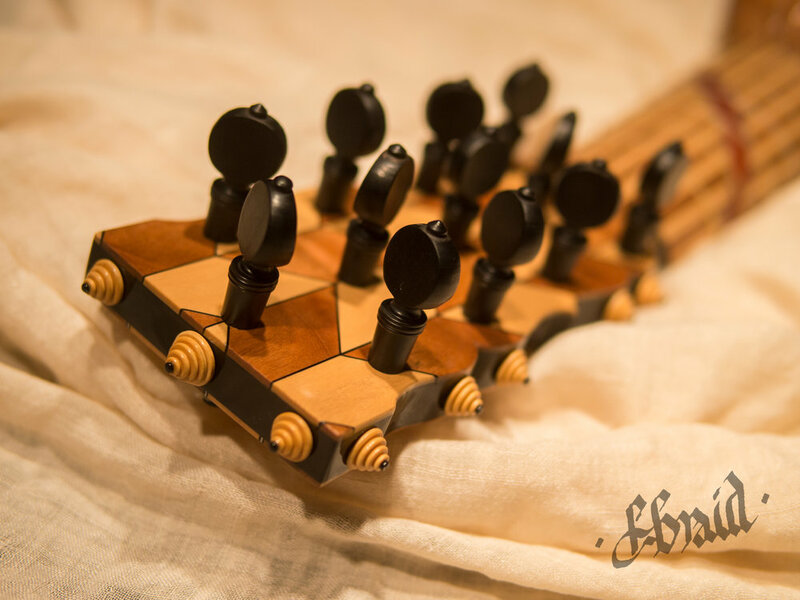 Highly decorative in ebony, castello, mahogany, cherry and Carpathian spruce. Lovely tone reminiscent of Chris Acquavella’s Baroque mandolino. Inlays are hand carved, inlaid with black lacquer. Varnish is a thin and resonant spirit varnish. Pegs are internally geared with a 4:1 ratio. I am offering this instrument on special. Due to its highly decorative nature, the standard price would be $11,000 CAD including custom Kingham case. Currently on sale for $8000 CAD, or only $6000 USD. This price includes Kingham case. Please contact me directly for more information. Thank you.